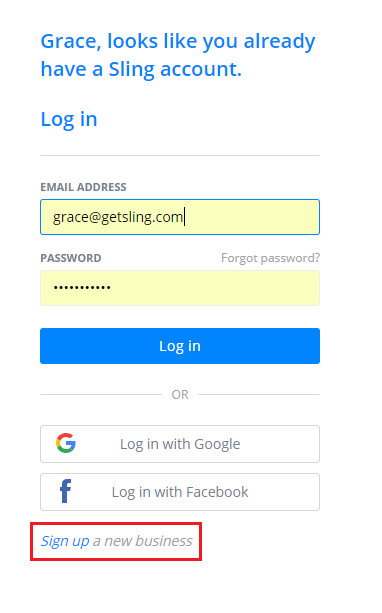 You can create a new account using an existing login ID by going to https://getsling.com. Please note that users cannot connect to their employer's existing account using these steps. Please see this article instead. 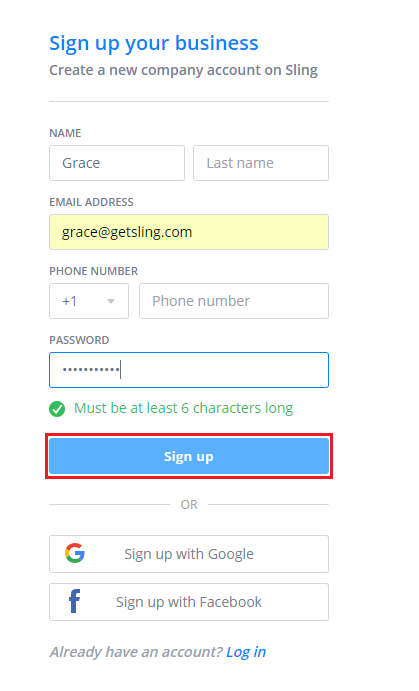 If you do want to create a new account to manage your employees, Enter your email address and click Get started. 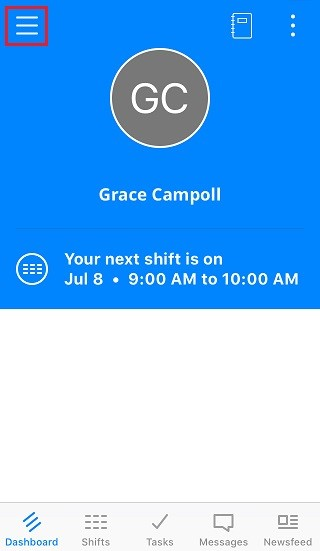 On the next screen, fill in your info for the new company (keeping the same email and password), then click sign up. The next page will remind you that you already have an account, but there is a link at the bottom to continue creating a new one. 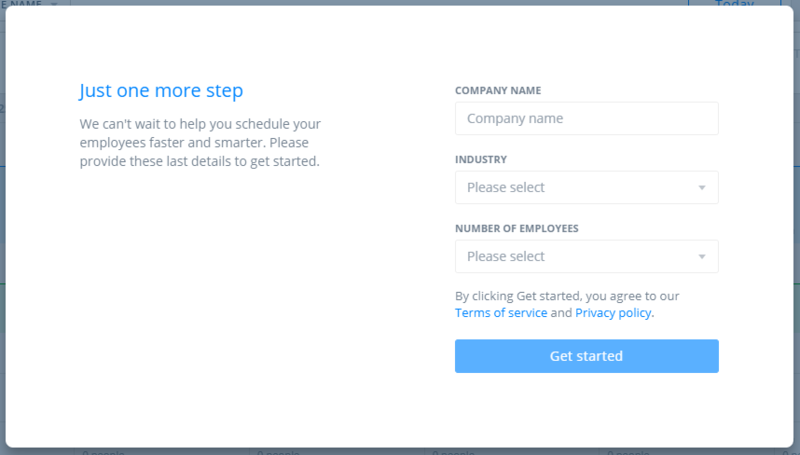 The final step asks you to name your company and select your industry and the size of your organization. Click Get started and you're ready to begin setting up your new account. If you're using the web, you can switch between accounts by clicking on your name at the top right corner of the screen. 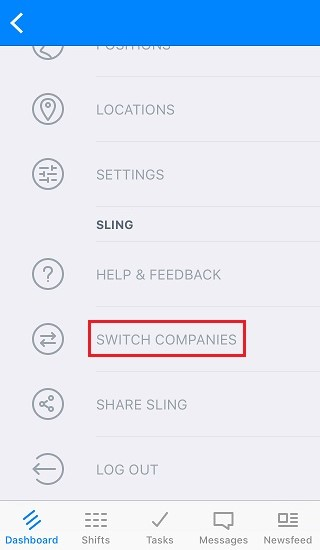 All accounts attached to your login will be listed and switching is as easy as clicking a company's name. 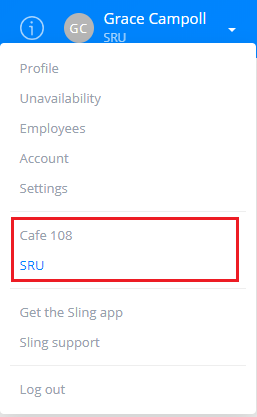 In the app, you'll find the option to switch between accounts under the Dashboard menu. The next window will allow you to switch accounts.